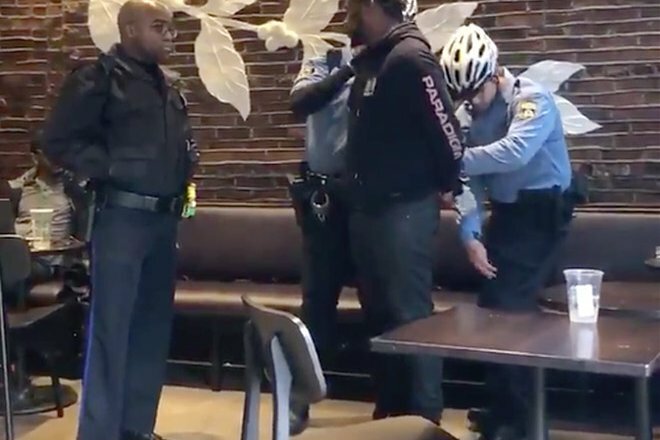 Philadelphia police officers arrest Dante Robinson at the Starbucks coffee shop at 18th and Spruce streets in Center City. I am a child of the 1960s and '70s. Growing up, I watched as our nation transformed itself from one consumed by polarization and hatred into one that recognized the dignity of each and every human being. Thousands upon thousands of people boycotted and marched their way all over this country, often at great personal risk, to ensure that laws would be passed and policies enacted to transform our society from exclusive to all-inclusive. These changes were welcomed and much-needed, but it did not cure all of our nation’s ills. Racial bias is still alive in our society whether we realize it or not, and legislation alone will not get rid of it. Our democracy is an experiment, one that is ever-changing and ongoing, one that sometimes reaches uncomfortable crossroads. We reached one of those crossroads on the afternoon of April 12. Wait, did Starbucks actually change bathroom policy after Philly incident? For me, the images of those two men being unnecessarily handcuffed in Starbucks brought back memories of those times in my childhood, when simply advocating for God-given human rights was an offense worthy of arrest. This cannot become commonplace again. Every event like this one is a pebble in the stream, creating a ripple effect that grows larger and erodes the common decency of our democratic society. I would like to take this opportunity to thank Starbucks again for addressing an issue that is long overdue as a talking point in the public space. Today will not only serve as racial bias training for Starbucks employees, but as a demonstration to the rest of the nation and organizations everywhere about what needs to be done regarding the issue of racial bias. We cannot, and should not, continue to wait for unfortunate circumstances to arise before properly addressing the racial conflict in our neighborhoods and in our country as a whole. In a well-crafted video, Starbucks previewed how their training would be conducted, and what the curriculum will entail. It includes tools like “You’re Welcome,” a documentary by Emmy award-winning filmmaker Stanley Nelson, which explores the reality of racial discrimination in public accommodations, including personal testimony from citizens. Common, the American hip-hop artist and activist, also makes an appearance to speak on exploring identities, and how we can help see each other respectfully. The goal is to lift each other up, never to put each other down. Starbucks has taken a necessary first step toward addressing racial bias and discrimination in their stores, and they are conducting it in the best way possible. I am thoroughly impressed with the way they have chosen to handle this situation. They did not waste time on blame or empty apologies – they owned the situation, and they are taking the appropriate steps to make it right. Starbucks has shown initiative and taken prompt action regarding this and other cases of bias, and that, above all else, is commendable. I have seen the impact of fear due to racial violence and prejudice in communities. I have seen it drive people from their homes, seen it diminish opportunities, and watched as vibrant communities have fallen victim to the hopelessness and fear that bigotry causes. Starbucks’ implicit bias training addresses many important topics that we should be talking about on a regular basis in our communities, including racial anxiety and the longstanding quiet fear that African-American citizens endure every day. I think many companies might find that they are overdue for training employees to handle difficult situations, especially in our city. We, as citizens, have a commitment to the folks in our communities to make life livable – and more importantly, enjoyable – for everyone. From this point forward, there are many responsibilities to be met, on all sides. It is up to corporations – local, national, and international – to evaluate their policies and study those of Starbucks and others for best practices. But, it is also up to us to follow this example and create a world that is safe, inclusive, and positive for everyone. 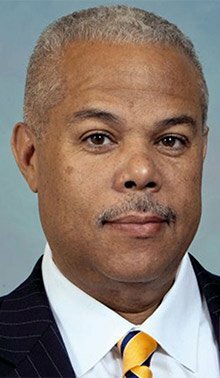 Anthony H. Williams is a Pennsylvania state senator representing the 8th Senatorial District, which includes parts of Philadelphia and Delaware County.